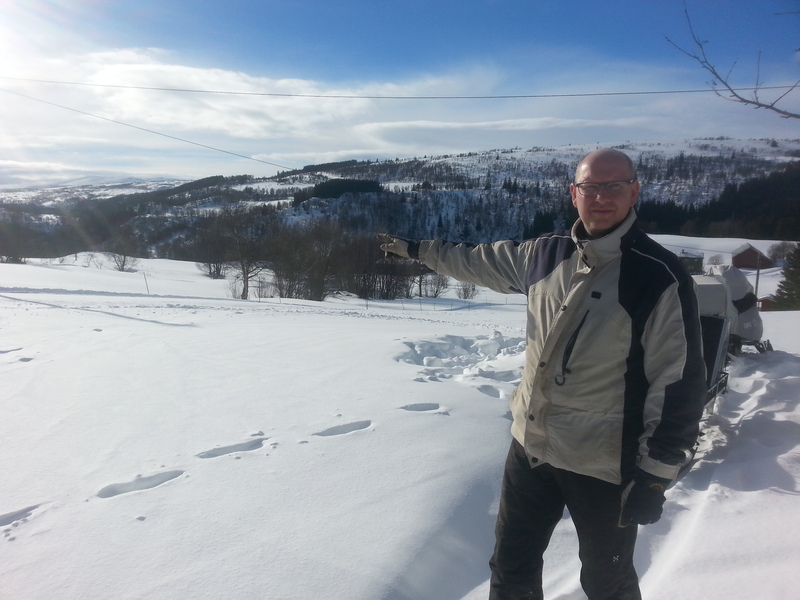 It is not often "Hessdalen Fenomenon" is seen between the houses in the village but Tuesday 14 February 2017 could Geir and Edelaine experience the "light" close to the neighbor's house. Geir'm sure it was only 300-400 m up to the intense light that was about 30-40 cm in diameter for the first 20 seconds. Later extended the "light" to 4 meters in diameter and had a shape of a snow crystal with colored lights in the entire perimeter. Geir and Edelaine observed phenomenon in almost 5 minutes from the window in the living room but forgot to photograph this strange thing. Geir's father also had an experience with two strange lights in the same period of time. These lights were white and red and were vertically positioned. The distance to these lights were ca.1200 meters. History shows that it was the first time Geir, Edelaine and Geir 'father had seen Hessdalen Fenomenon.